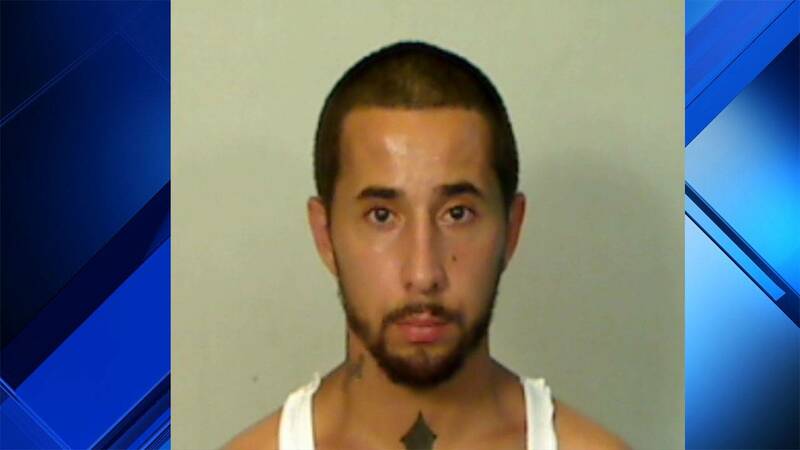 MONROE COUNTY, Fla. - Anthony Diaz had been wanted in Monroe County since October on outstanding warrants accusing him of stealing a work truck and a cement pumping machine from a construction company. Diaz, 26, was brought to Monroe County on Saturday after he was arrested in February in Brevard County. Detective David Cruz on Oct. 15 responded to Bella Construction on Big Coppitt Key where the owner wanted to report a stolen work truck with a cement pump attached to it, the sheriff’s office said. Surveillance video from the property showed a man, later identified as Diaz, placing a screwdriver and a hammer on the ground, removing a handgun from his waistband and walking out of camera view, deputies said. Diaz is then seen stealing the truck with the pumper attached. A second video shows Diaz getting out of the stolen truck at the Tom Thumb convenience store on Stock Island, deputies said. The truck was later recovered by Key West police, after it was found crashed at the entrance to the city, and the cement pumper was found at Coconut Mallory on South Roosevelt Boulevard in Key West. The screwdriver and hammer were recovered, and a man who lives in the neighborhood and reported two vehicle burglaries in the area identified the items as coming from his workbench under his house. He identified Diaz as the person who took the property. His bond was set at $70,000.